Industry consolidation, combination products, and a shortage of talent at original equipment manufacturers (OEMs) are changing the way they work with contract manufacturing organizations (CMOs). If you're wondering where all the jobs are in medtech, check out the original equipment manufacturers (OEMs). These companies are experiencing a significant drought in candidates to fill engineering and program management positions. This talent shortage is just one of the trends that has driven the ongoing shift toward closer relationships between OEMs and contract manufacturing organizations (CMOs). There are several ongoing trends in the OEM business that have affected CMOs, says Matt Jennings, chairman, CEO, and president of Phillips-Medisize, a company that specializes in design and contract manufacturing services for the medical device, diagnostic, drug delivery, and commercial industries. Jennings says that in recent years, OEMs have been consolidating, moving to other countries, using outsourcing for more duties, and working with CMOs earlier in the design and development process. 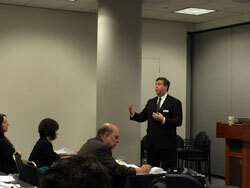 Jennings spoke at a June 9 press conference held during the MD&M East conference in New York City. Several factors have made CMOs more integral to OEMs. OEMs are experiencing a labor shortage, termed a "severe shortage" by more than 50% of the 300 U.S. manufacturing executives surveyed for a 2014 joint study cited during the press conference and published by Accenture and The Manufacturing Institute. OEM executives have said they are having trouble finding candidates, including a quote cited during the press conference from a human resources executive: "We have 25 open req's (requisitions) and need 40 FTEs (full-time equivalent employees), but hiring is slow. Talent is hard to find." Not having enough employees has meant OEMs have given more work to CMOs. In addition, Jennings says, manufacturers are coming to CMOs earlier in the device development process. One reason for this is the increasing number of combination products, such as drug delivery devices, and smart devices. As Jennings explains, because of the regulatory requirements around these products, plans for the device development need to start earlier. Phillips-Medisize has made changes to fit OEM needs as well. Jennings says that in 2011, when he joined the company, there were 50-60 employees in the pre-production group. Now there are approximately 475 employees in that group, he says, who manage about 100 programs for projects that can last from 18–48 months. This kind of flexibility and ability to dedicate staff to a project is likely important to OEMs when choosing CMO partners. Jennings notes that while costs matter to manufacturers, quality always comes first because recalls and market delays can be far more expensive—in dollars and in reputation. Drawing an analogy between planes and medical devices, Jennings says, "It's ridiculous to talk about quality when you talk about building planes. It just has to happen. It's the same thing with devices . . ." And quality needs to be built in early, starting at the design phase, he says. Marie Thibault is the associate editor at MD+DI. Reach her at [email protected] and on Twitter @medtechmarie.